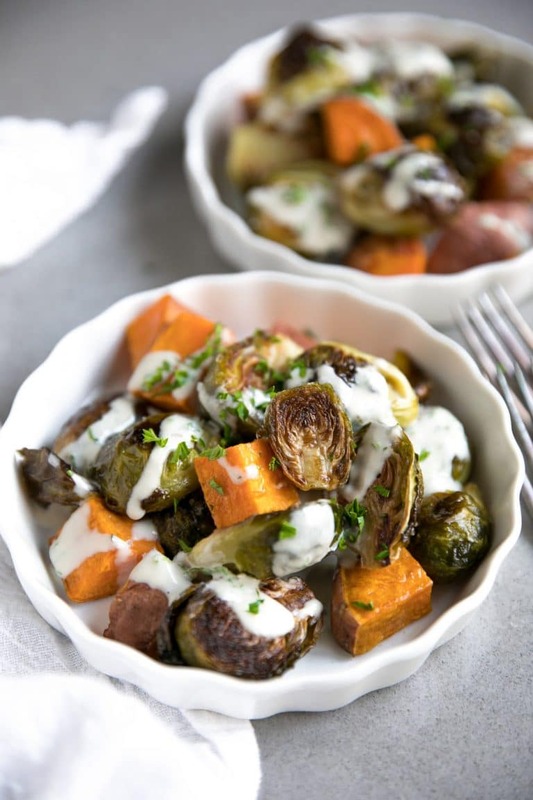 These Roasted Brussels Sprouts and Sweet Potatoes with Creamy Lemon Tahini Sauce are easy, healthy, and super delicious. Serve as an easy dinnertime side dish or toss with grilled chicken for a complete meal. 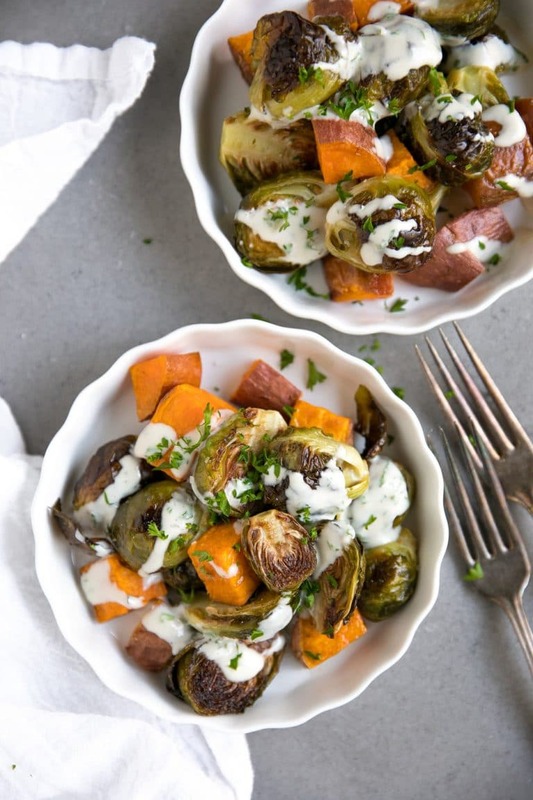 Brussels Sprouts and Sweet Potato are two fall vegetable essentials. 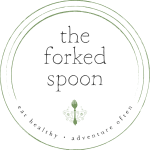 You can enjoy them alone, together, or in other reader favorites including Brussels Sprout and Potato Gratin, Easy Herb and Brown Sugar Roasted Sweet Potatoes, and Brussels Sprouts Caesar Salad with Homemade Croutons. Roasted Brussels sprouts and sweet potatoes are one of those easy and delicious fall side dishes that I find myself making over and over again. Fancy enough to make for friends, easy enough to make for family, and good enough to make just because you want to, roasted Brussels sprouts are definitely a personal favorite. Until six years ago I had never tried a sweet potato and had somehow convinced myself that I despised Brussels sprouts. Fortunately, my taste buds matured (finally) and I learned how to cook because these are now a couple of my favorites. I’m guessing, though, that since you’re here you already love these two? Maybe? Either way, I’m so happy you’re here. 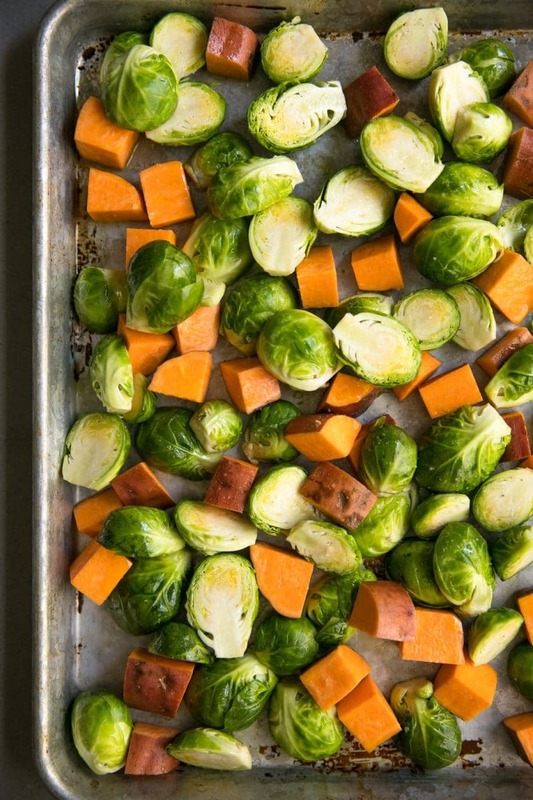 This roasted Brussels sprouts and sweet potato recipe is a great place to start! 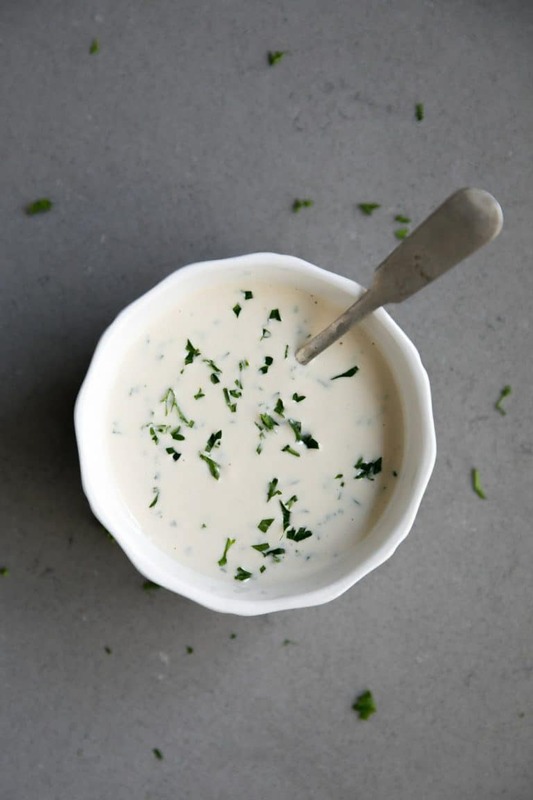 and don’t forget about the lemon tahini sauce! It’s the icing on the cake…I mean…vegetables. Let me start this by saying that I am not the best when it comes to grammar or spelling. I mean, I do my best to make as much sense as possible, but mistakes happen. That said, if I ever find that I am repeatedly spelling a word incorrectly, I want to know. That was the case with Brussels sprouts. For many years, and even in old posts like these Sautéed Brussel Sprouts, I called these mini cabbages (they’re not, but they look like it) Brussel sprouts. Brussels sprouts were cultivated in the thirteenth century near Brussels, Belgium where it is believed they derived their name. In common names and misspelling, they may also be called brussels sprouts, Brussel sprouts, or brussel sprouts. I know, super complicated, right? Only playing, guys. It’s not. Of course, if tahini or tahini sauces aren’t really your thing, feel free to skip that part. 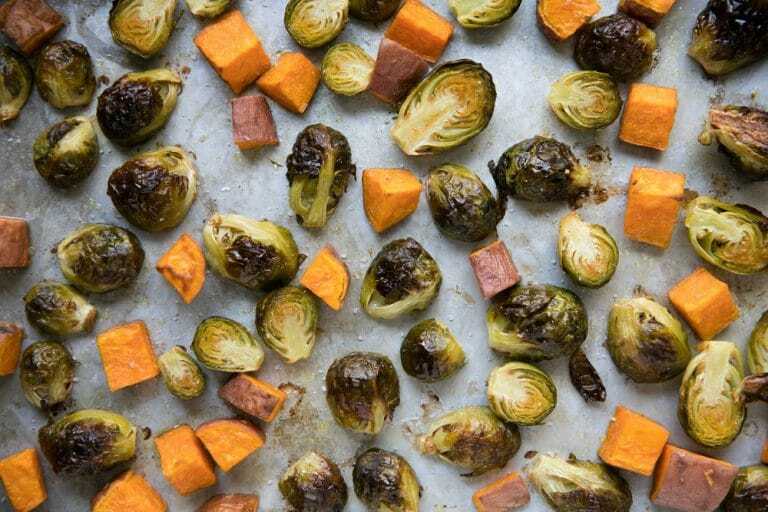 Roasted Brussels sprouts and sweet potatoes taste great without the added sauce. However, if you’re new to either of these vegetables, then I highly recommend a little drizzle of the creamy lemon tahini sauce. When compared to other green vegetables Brussels sprouts are particularly high in protein. Researchers have identified that the sulfur-containing compounds in Brussels sprouts contribute both their bitter taste and properties that fight cancer. Especially with esophageal, prostate, pancreatic cancer, and melanoma. Since Brussels sprouts contain high amounts of chlorophyll, it is beneficial to consume Brussels sprouts when consuming charred meats as charred food generates heterocyclic amines which are known to cause cancer. High levels of Vitamin K and Calcium which help improve bone health. Brussels sprouts may help manage diabetes. High levels of Vitamin C which benefits not just eye health, but also skin health and appearance. High in antioxidants. aka they’re full of good stuff that helps reduce the risk of chronic disease while preventing damage to cells. Brain Booster. 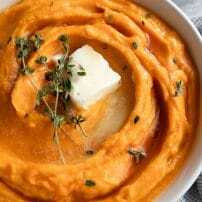 Animal studies have shown that eating sweet potatoes could boost brain function and improve memory due to their high levels of nutrients and antioxidants. 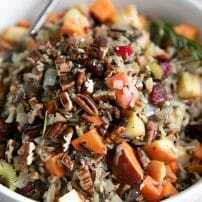 Stabilizes Blood Sugar. Sweet Potatoes have been shown to help reduce and regulate blood sugar levels. High levels of Vitamin A. 483 percent of your daily Vitamin A needs to be a little more precise (for a medium sweet potato). Vitamin A helps stimulate the production of immune cells, so, as you may imagine sweet potatoes are pretty sweet at enhancing immunity. Given all that Vitamin A, sweet potatoes also help promote vision health. I actually don’t have that many tips, you guys. I mean, this recipe is literally that easy. However, I do have a couple that I try to remember whenever I roast not only these vegetables, but any vegetables. Chop your vegetables so they are about the same size. This is super important if you want your vegetables to cook evenly. If you could care less about all that, then please, ignore everything I say. Avoid overcrowding your baking sheet. You know, leave space between your vegetables, give them a little space to breathe. Do not douse them in oil. A little oil is necessary, but the whole bottle is nasty. The Brussels sprouts will not be soft and mushy like the sweet potatoes, just letting you know right now. That’s not the way they were made. 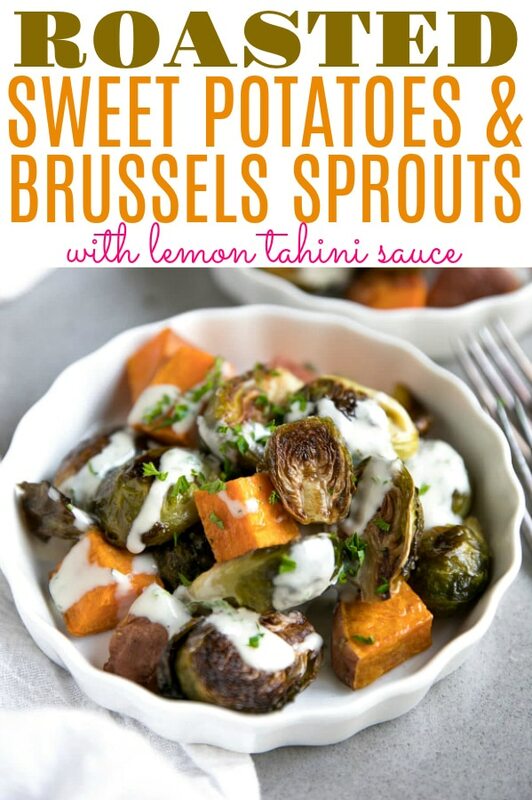 Easy, healthy and super delicious, these Roasted Brussels Sprouts and Sweet Potatoes with creamy Lemon Tahini Sauce make a fabulous side dish for any dinner occasion. Arrange the vegetables on a large baking sheet, trying not to overcrowd the pan (thus allowing them to get crispy rather than soggy). Drizzle with olive oil and salt; toss to coat. 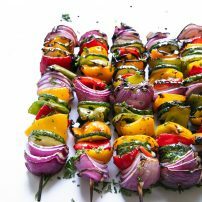 Roast the vegetables for approximately 20-25 minutes, or until browned and fully cooked. Meanwhile, prepare the sauce by whisking together all the ingredients in a bowl. Season with salt to taste and add water as needed to reach desired consistency. 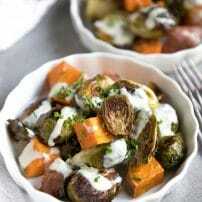 When ready, remove the vegetables from the oven and drizzle (or dip) vegetables with the lemon tahini sauce. 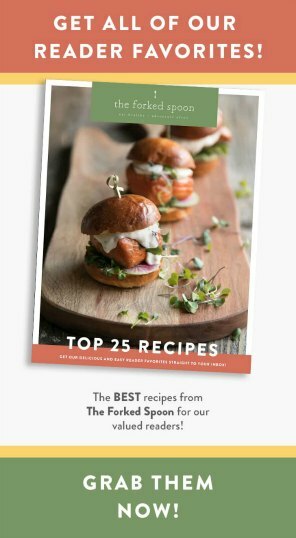 Recipe originally published in October 2017. 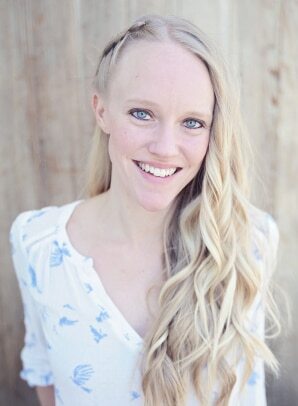 Thanks Katie – I am glad you enjoyed it!